SPONSOR 5 KM - your name will appear in tracksdel21.cat and social networks. HANDBAG - silk screen printed with Tracks of 21 logo. SPORT SHIRT - Tracks of 21 unique design. CYCLING JERSEY - high quality finish.Tracks of 21 unique design. During the stage it will be given WIDESPREAD DIFFUSION ABOUT THE SPONSOR. A space on the web with A SPONSOR LINK . A space on the web with A SPONSOR LINK. Mention of the sponsor at CORAVANT BLOG. Sponsor Logo at CUSTOMIZED AND ADVERTISING VINYL Tracks del 21 motor home. Motor home rental by 21 days to give support, lodge and transport everything necessary for the proper project performance. Accommodation in campsites or secure motor home areas to ensure that all materials (mainly bicycles and electronic devices) are kept safely. Cost of the fuel needed to move the motor home during the 21 stages that make Tracks of 21 up. Creation, design and programming regarding web page www.tracksdel21.cat. Maintenance, updates and improvements of the page. Logo and corporate image design. PROMOTIONAL MATERIAL TRACKS OF 21. Script, recording and editing the promotional video Tracks of 21. Corporate photographs. Design and purchase the promotional material for the project (posters, brochures, vehicle signage, banners, roll-up ...). In July 2019 it will be ten years that Dani Jarque is not with us. During these years, his memory has always been very present, not only at the heart of all the Espanyol supporters, but also among all the football fans, all sports enthusiasts and, in general, in the whole society. Through the Via Francigena in Italy, the Via Domitia across France and the last kilometers when route is very close to Barcelona by the Via Augusta. In 21 days. Because the number 21 is the number that makes us come Dani to our mind. Departing from the Centro Tecnico Federale di Coverciano in Florence, where Dani Jarque died on August 8, 2009. Arriving at Gate 21 of RCDE Stadium on 8/8/2019, when it will be exactly 10 years after his death. The challenge has also a solidarity side, as one of the most important trait of it, it is to become aware of congenital heart disease. The Dani Jarque incident marked a before and after in the awareness of cardiovascular diseases and proves that cardiopathies in athletes are not isolated cases. And what will we do? We will cooperate with the Coravant Foundation that provides direct attention to people with congenital heart disease. We will seek sponsors and supporters who want to collaborate with the challenge and at the same time provide resources to the Foundation. We will implement all kinds of initiatives focused on making Tracks of 21 public and spreading the Coravant social role with people who suffer a congenital heart disease and their families. And how will we do it? Encouraging all users to give "kudos" or likes to each stage that is being completed during the challenge. 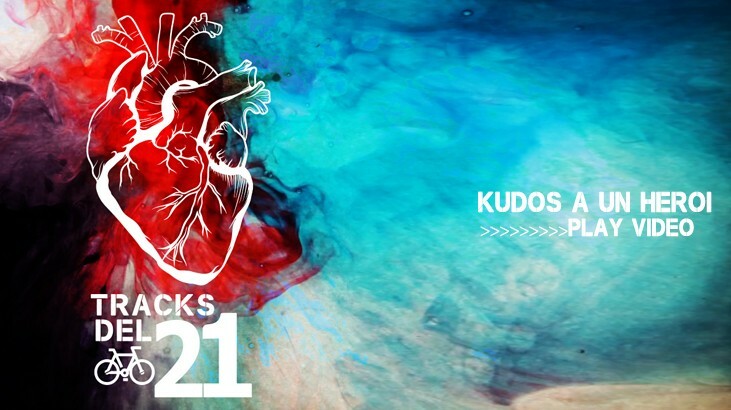 Looking for sponsors and patrons who symbolically transform the accumulated kilometers and "kudos" received in resources for the Coravant Foundation and their project "know your heart, know your body." In order to make this project as transversal as possible, with the aim of reaching the maximum number of target audience, with the need to make a good dissemination, due to the complexity of this challenge in terms of management and logistics, because a good coordination is crucial in order to reach the Gate 21at RCDE Stadium on time and mainly, because without executing the project we do not achieve the commitment concerning the solidarity side with Coravant, we believe the best choice is raising a crowdfunding campaign. We have up to 7 collaboration options that range from €20 to €600. Most of the rewards of the challenge includes high quality sportswear. May you help us to make it possible? 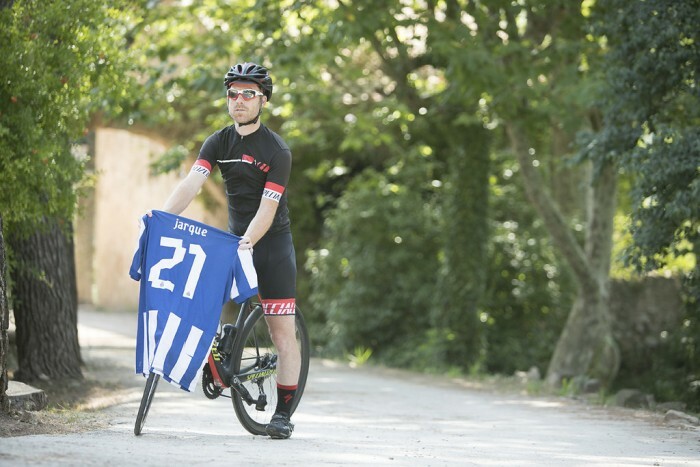 Join in 21 stages the distance between the Centro Federale di Coverciano in Florence to Gate 21 of the RCDE Stadium. Transfer Tracks of 21 route to the old ways of pilgrimage like Via Francígena, Via Domitia, the Catalan way of Santiago and the Via Augusta. Flag Tracks of 21 with a clear solidarity behavior, working with Coravant Foundation and their project about training, orientation and monitoring project in physical activities, that expects, among others, schedule stress tests (Cardio-respiratory exercise test) in young athletes with congenital heart disease. At the end, match the arrival of Tracks of 21: Kudos to a hero at the Gate 21 of RCDE Stadium on the 8th of August of 2019. 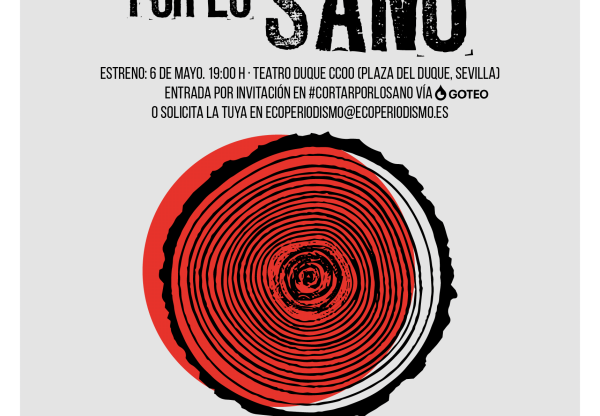 Date of the tenth anniversary of Dani's Jarque death, after 21 days and 21 stages by bicycle. The incentive to complete Tracks of 21, a project understood as a personal and sportive challenge and maket it a bike endurance event. Personal appreciation to a guide. An idol becomes a hero. 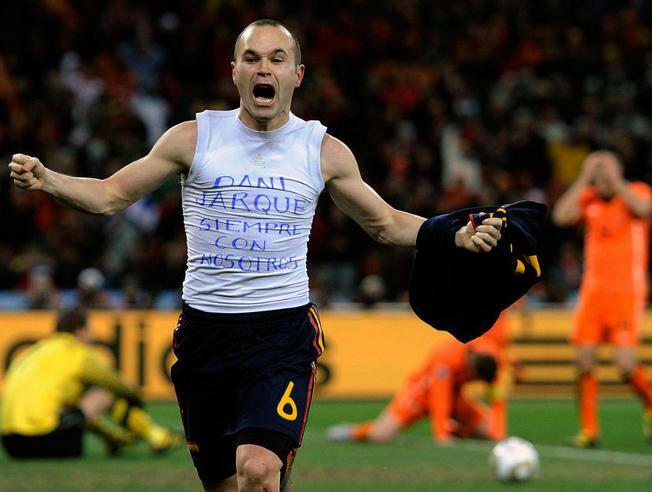 In other words, make the Andrés Iniesta message at the 2010 South Africa World Cup final eternal: "Dani Jarque, always with us." Inherit the values that defined Dani Jarque as a person and moved them to the challenge. Take these values, and make them as a the distinguishing feature of Tracks of 21: Constancy, Commitment, Tenacity, Effort and Solidarity. “Kudos to a hero”, the challenge name wants to be another reason for Dani Jarque memory and what he represents. The term Kudos derives from Greek κῦδος kŷdos "glory" or "appreciation" and indicates gratitude and admiration but it is also closely linked to success and challenges. A set of meanings and sensations that fits perfectly with the challenge soul. Members and RCD Espanyol supporters and the entire football fans. The will of the project is to perpetuate the Dani Jarque's memory coinciding that 2019 is Dani's tenth death anniversary. Extra-curricular sports activities or specific sports clubs. Physical activities that can be done with family, friends or with a group. Kid's camp activities, both at the school and summer camps, and any other organized exercises where it can be performed physical activities and / or sports. Any activity that requires a cost of energy and an alteration of the habitual dynamics of the person with congenital heart disease. Joan Francesc Leiva: RCD Espanyol de Barcelona supporter. Experience in mountain bike ultramarathons such as Pedals de Foc Non Stop, Gran Fondo Priorat or bike touring races such as Purito and Marmotte Gran Fondo, both the Alps and the Pyrenees. VIA FRANCÍGENA - 7 stages: Sergi Leiva. Forest ranger. Experience in bicycle mechanics. Caterina Gelambí. Tracks of 21 nurse. VIA DOMITIA - 7 stages Roger Leiva. Bike rider and firefighter. Carles Cubos: photographer, web designer, artistic creation projects and author of the documentary "Nosaltres, els Xiquets de Valls"
Montse Casellas: Department of Labor, Social Affairs and Families of the Generalitat de Catalunya and communication expert.